The Pledge represents a convergence of practising women poets and academics who are responding to the publication of The Cambridge Companion to Irish Poets earlier this year. A group of contemporary poets have joined together to create reading events, online discussion, and most importantly a pledge which everyone is welcome to sign (Sign the pledge). ‘FIRED! 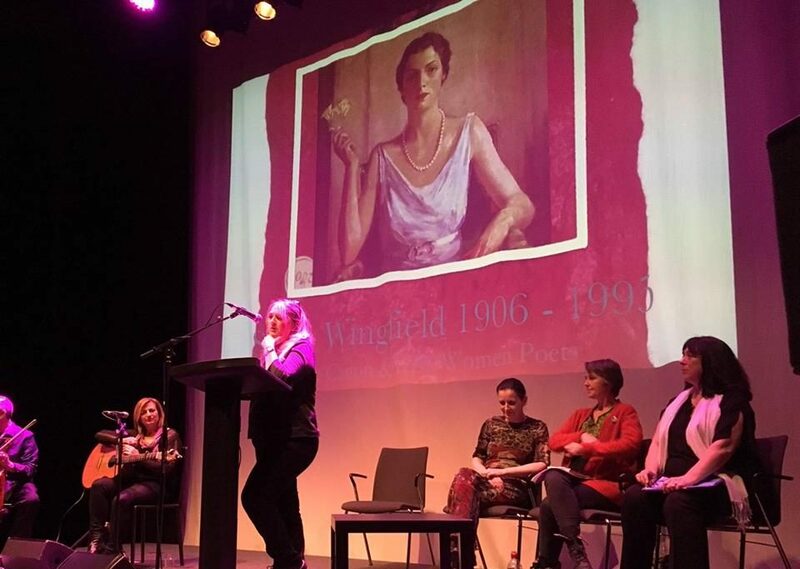 events are readings wherein contemporary poets read from their own work but also the work of historically important women poets, marginalised from the canon. FIRED! events raise awareness and revive historically important work and as such exemplify a Hedge School model of educating ourselves and making the work live. The first FIRED! event was hosted in Belfast on the 18th November 2017, at The Crescent Arts Centre. We aspire that it will have been the first of many such events and designed the model explicitly so that it could travel, and be implemented in many other places. Ailbhe Darcy is an Irish poet living in Wales. She is the author of A Fictional Dress (Tall Lighthouse, 2009), Imaginary Menagerie (Bloodaxe Books, 2011), Subcritical Tests (in collaboration with S.J. Fowler; Gorse Editions, 2017) and Insistence (Bloodaxe Books 2018). She also writes critically and has published work on Dorothy Molloy, David Wheatley, Justin Quinn and others. She is Lecturer in Creative Writing at Cardiff University. Mary O’Donnell is a novelist, short story writer and poet. Her four novels include Where They Lie (2014) and The Elysium Testament (1999). Her best-selling debut novel The Light Makers was recently reissued by 451 Editions. Poetry includes Reading the Sunflowers in September, Spiderwoman’s Third Avenue Rhapsody, Unlegendary Heroes (Salmon), The Place of Miracles (New Island) and Those April Fevers (Ark Publications). In 2010, she co-edited an anthology of Galician women poets’ writing in translation in To the Winds Our Sails. A full critical volume of essays on her work, Giving Shape to the Moment: the Art of Mary O’Donnell, Poet, Short-story writer, Novelist, will be published by Peter Lang in 2018. She teaches Creative Writing at Galway University and is a doctoral student at UCC. In 2001 she was elected to Aosdana. Kimberly Campanello’s poetry books include Imagines (New Dublin Press), Strange Country (The Dreadful Press), Consent (Doire Press) and Hymn to Kālī (Eyewear Publishing). MOTHERBABYHOME is forthcoming from zimZalla Avant Objects. A selection from MOTHERBABYHOME appeared in September 2017 in Laudanum Publishing’s Chapbook Anthology Volume Two alongside work by Frances Lock and Abigail Parry. She is a Lecturer in Creative Writing at York St John University. Emma Penney, a graduate of the Oscar Wilde Centre, Trinity College Dublin. Her thesis, Now I am a Tower of Darkness: A Critical History of Poetry by Women in Ireland, challenges the critical reception of Eavan Boland and the restrictive criteria, developed in the 1970’s, under which poetry by women in Ireland has been assessed. She considers the subversive nature of women’s poetry written between 1921 and 1950, and calls into question the critical assumption that Eavan Boland represents “the first serious attempt in Ireland to make a body of poems that arise out of the contemporary female consciousness”. In Object Lessons, Boland concluded that there were no women poets before her who communicated “an expressed poetic life” in their work. Emma’s thesis reveals how this view has permeated the critical landscape of women’s poetry, facilitating an absurd privation of the history of poetry by women in Ireland and simplifying it in the process. Kathy D’Arcy is a Cork poet (Encounter 2010, The Wild Pupil 2012) currently completing an IRC-funded Creative Writing PhD in UCC, where she teaches with the Women’s Studies department. In 2013 she received an Arts Council Literature Bursary for her poem Camino. She has worked as a doctor and youth worker as well as teaching creative writing. Her play This is my Constitution was staged in 2013 at an Irish parliamentary briefing on gender. She was 2016 editor of the Cork Literary Review and is currently editing Rhyme Rag (an online poetry journal for young people) and Autonomy (a women-led collection of writing on the theme of bodily autonomy). She is involved in the Irish Pro-Choice campaign. Christine Murray is a poet and web developer. She developed Poethead; a poetry blog nine years ago. She graduated in Art History and English Literature at UCD School of Art History and Cultural Policy. She qualified and has worked as a city and guilds conservation stone cutter with the Office of Public Works/Commissioners of Public Works in Ireland. Her restoration stone work is largely architectural, she worked in Counties Limerick and Kerry, and was based at Ross Castle at Loch Lein (Killarney, Co. Kerry) and in Ardfert Cathedral among other places. She is primarily a page poet but has written poetry for vocal performance. Anne Tannam is a Dublin poet whose work includes Tides Shifting Across My Sitting Room Floor (Salmon Poetry 2017) and Take This Life (WordOnTheStreet 2011). Anne’s poems have been published in literary journals and magazines at home and abroad including The Stinging Fly, Poetry Ireland Review, The Moth, Orbis, Prairie Schooner, The Poetry Bus, Crannóg, Skylight47, Burning Bush 2 & Bare Hands Poetry, Her work has also been featured on RTE’s Arena and in The Irish Times. A spoken word artist, Anne has performed at festivals and events around Ireland including Lingo, Electric Picnic, Bray Literary Festival, Blackwater International Poetry Festival, Bloom and Cúirt. Anne is co-founder of the weekly Dublin Writers’ Forum and in October 2016 was writer-in-residence at Chennai Mathematical Institute in India. We would like to acknowledge the help and support of Eavan Boland, Rita Ann Higgins, Dr. Lucy Collins, Emma Penney, Ailbhe Darcy, Mary O’Donnell, Chris Allen, Jaclyn Allen, Kate Dempsey, Kimberly Campanello, Laura Loftus, Maria McManus, Moyra Donaldson, Melony Bethala, Alex Pryce, Katie Donovan, Doireann Ní Ghríofa, Nessa O’Mahony, Sarah Clancy, Elaine Feeny, Elaine Cosgrove, Fióna Bolger, Victoria Kennefick, Dr.Anne Mulhall, Barbara Smith, Gillian Hamill, Anne Tannam, Maureen Boyle, Stephanie Conn, Alice Kinsella, Paul Casey, Lia Mills, Katie Donovan, Mark Andresen, and Selina Guinness. The complaint should be that recognized major female poets are neglected. The claim that some women poets are unjustly neglected would have to be argued on the wider ground of general critical opinion, at a stage that comes long before canonization in anthologies and textbooks. I am unsure what ‘recognized’ means in this context ? Our preamble sets out a clear case of neglect and omission, specifically of mid-century women poets and of irish language poets. Surely recognising that this omission skews the canon is a beginning point for righting the wrongs? 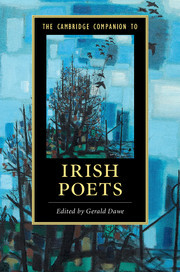 The figures for women poets are appalling in all recent Irish anthologies, cf these notes, at Lagan Online. Of course, we can look at the subjectivity of the anthology editor, and the simple answer to misogynism would be to increase women editors ! Hi / want to contact you to invite you to a women’s arts and activism gathering in Oslo – can you email me?